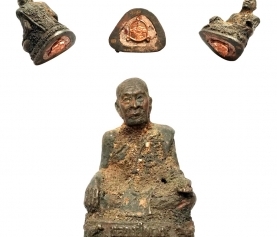 In celebration of Thailand’s Queen Sirikit 72nd birthday anniversary in the year 2547 BE (2004 CE), the Thai Royal family assigned the task of an exclusive amulet batch to the ordained brahmin priests at the Royal Court. 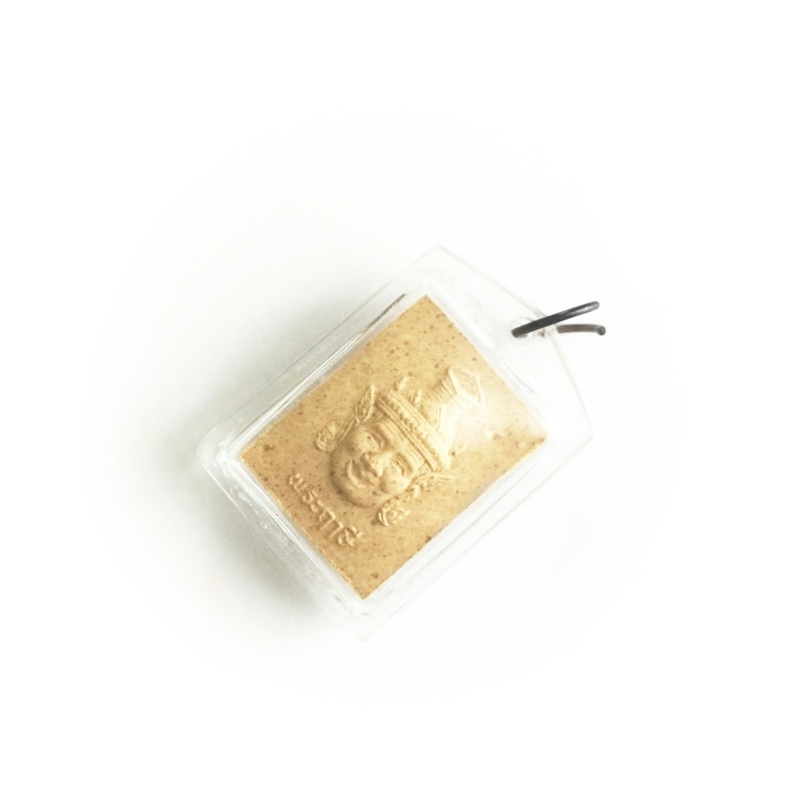 This special edition consists of sacred powder amulets of the foremost deities in the Hindu pantheon, namely the Trimūrti (i.e., the Holy Trinity of Śiva, Brahmā, and Viṣṇu), the elephant god Gaṇeśa (son of Lord Śiva and his consort Pārvāti – goddess of fertility), and a traditional rishi hermit sage (Sanskrit: ṛṣi). Thus, the Hindu deva gods amulet set is imbued with fivefold magical power, designed to help the wearer: (1) destroy evil influences (Shiva); (2) create new opportunities (Brahma); (3) maintain good relationships with friends, family members and loved ones (Vishnu); (4) remove obstacles in life (Ganesha); and (5) preserve good health and develop spiritual power (rishi). After the consecration ceremony the amulets also received individual empowerment from a group of senior Buddhist monks. The set of five comes with the original temple box. 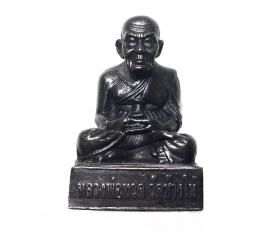 Also, there is a special Thai amulet necklace (total length: 70 cm; thickness: 3 mm; weight: 20 g) available (optional) that allows one to wear the amulets around one’s neck in the traditional fashion. 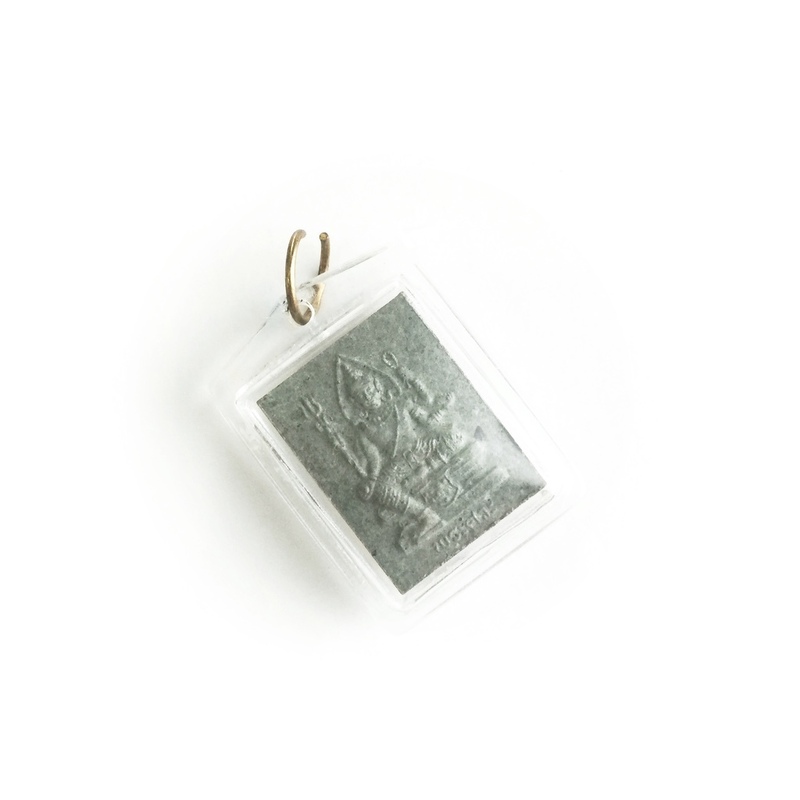 Moreover, they come with free (acrylic) casing, which means these amulets can be worn straight out of the box. 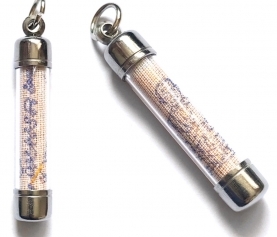 Including the encasement, each one measures 3.6 x 3.1 x 0.8 cm; these dimensions are smaller compared to most other amulets made in Thailand, and therefore making it more convenient (i.e., not too big nor too heavy) to wear them on a daily basis. The soft pastel colors make them more aesthetically appealing as well, especially to women.